Need to send your pet to or from London, England (LHR & all other main airports)? Let our team of pet shipping experts help. Whether you’re sending your pet domestically or internationally, our professional team of experts will ensure your pet arrives safely. 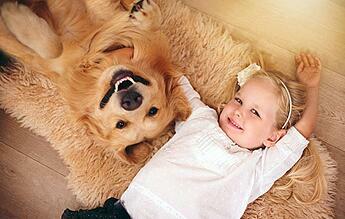 We will inform you of your pet's full itinerary before the trip and we will update you as your pet travels to London. We have an affiliated office in the UK who will monitor your pet’s arrival and will call you to let you know the delivery time on the day of arrival. 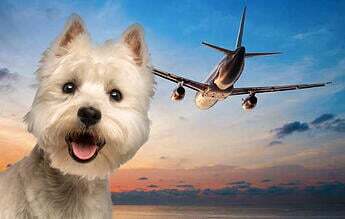 If you are looking to take your pet out of London by air, we can help. Starwood provides bespoke solutions for pet shipping to anywhere in the world. We can arrange door to door transport solutions to make your move as easy as possible, taking care of all the documentation, vaccinations, flights and transportation. As part of a global network, we guarantee to arrange the most direct, shortest and best possible travel solution for your pets. We can facilitate pre-travel boarding and veterinary support at a farm based boarding facility close to both London Heathrow and Gatwick airports. We can tailor any package to suit your requirements, making your move as easy as possible. All you need to do is select what services you desire and we’ll do the rest. Learn some of the specifics to traveling with your pet through Heathrow Airport. "I wanted to thank you for all the help wth Lucy and Roxy. They both made the journey across the pond with ease and arrived safe and sound. After a good nap they were back to their crazy selves and ready for action! We look forward to contacting you when we return to the states in a few years. " "Starwood Animal Transport was recommended to us by our house movers. We provided our address in England and our destination in Florida. After that every single detail was organized by them and the whole exercise was completely stress-free for both us and our horse. Billie Hester, our contact with Starwood kept us informed at each stage of the horse's journey and responded quickly to any questions we had. We heartily recommend this company." "Just want to say a massive THANK YOU for all your help and support through the process of Daisy & Poppy's big adventure. You have been reassuring when I have had a few tears worrying about how my dogs will be and explained the process every step of the way. When my daughter picked us up in Toronto we got a bit lost looking for the meeting point with Jason. I called him and explained where we were and he actually came to us and we were able to follow him to the cargo place where our dogs were. Jason was a lovely man and took us to our dogs who were really pleased to see us and they were fine. He then helped us back on the right road to the U S border by leading the way in his car and signaling where we had to turn off. Daisy and Poppy slept during our 3 hour drive across the border and on to our daughter’s house. They settled down well and are getting used to their temporary home. Thank you again for all your help and support and I wish you and your family well for the future. " "After getting our family back (2 Goldens) from NY to London Gatwick I have to congratulate you and your global team for achieving what is no small achievement. 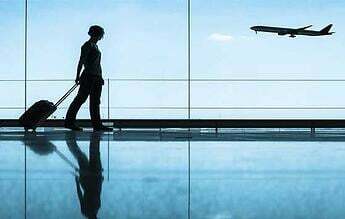 Your service in managing the paperwork, the customs clearance, selecting the best airline and route and hand holding the vets through this timely but critical process was, I am sure the only reason everything went through without delay or undue stress. Thanks to you and to all of your team…….you are a service benchmark." "Thanks so much Billie, that's excellent news, you go above and beyond and we appreciate that so much. I hope Minnie is somehow aware that you and your team have done an amazing job, but being a Siamese she expects a royal service and she has received just that. Its great to know she's on her way, I guess she will arrive early tomorrow morning Aust. time. Can't wait to see her. Our sincere thanks once again David and Belinda." "Jonesy is fit and purring away, enjoying his new home and being back with his family. The service you have provided has been outstanding in every way. It has been so nice to have such fabulous correspondence with you and attention to detail. Jonesy’s move could not have been any better or have gone any smoother. I wish ours could have been that easy!!" "We have collected Abbey from Animal Reception and all is well; she seems like a very happy little dog anxious to explore all the new sights and sounds England has to offer. Thank you both again for all your help relocating Abbey to the UK. Neither Roy or I slept on the plane so we hope Abbey isn't too active this evening."